The X312 combines of one Q500-DC with two P360 Pro Plus LEDs into a heavy-duty travel kit. The 750W-equivalent Q500-DC and 400W-equivalent P360 Pro Plus both offer brilliant, high-quality LED illumination that maintains best-in-class CRI across all settings, which include full dimmability, tunable CCT (2800-6500K), and hue (±0.25 green). With the durable X-Series case, Fiilex brings new high-capacity options to its line of top-tier portable lighting kits. Inside the X312 case, each light fits snugly into the laser-cut foam interior with all of its included components, while additional space leaves room for accessories. 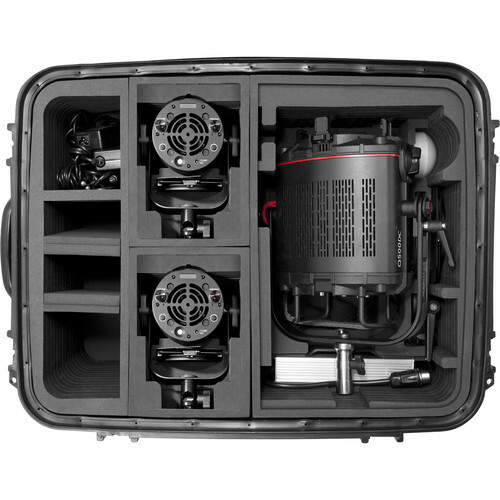 With its wheels and telescopic handle, the X312 can roll out to rugged location shoots, rain or shine, and the automatic pressure purge system keeps contents safe during air travel or other changes in altitude. 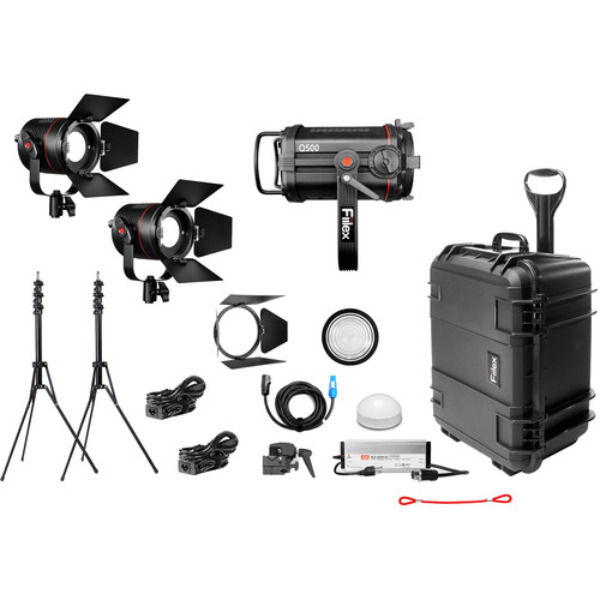 Fiilex has always specialized in versatile, compact, high-intensity LEDs, and with the X-Series kits, we're offering a bold new option for media professionals looking to travel with serious power.